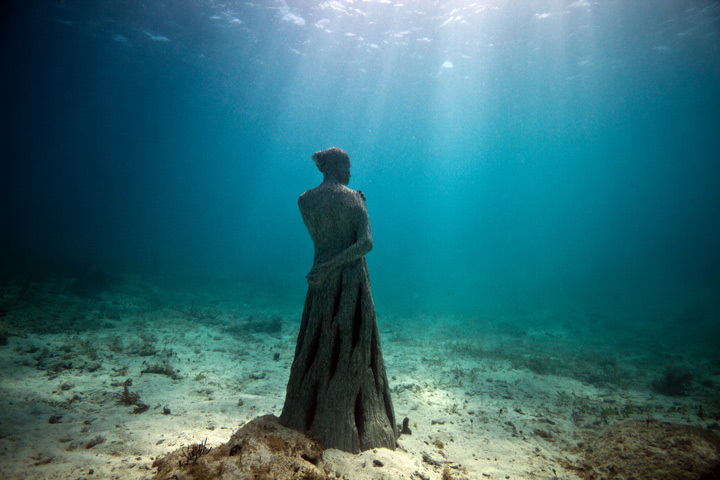 Jason De Caires Taylor. Underwater sculpture. Reblogged from Cosmic Machine. Click to view more. ‘Avoid the bridge, he says. That is a job for Time. My poems are songs for no-one, you see. You can keep your change. Respectability will not keep you warm at night. they are but paper and weight in the dark. how can one not be happy? That is not what I came for. He speaks a tongue I do not understand. During the day he absolves me. And this is not a kind Winter. is still made by human hands.